Dorian Gray is one of literature's most famous narcissists -- a man who believes that beauty is the only worthwhile pursuit in life, which drives him to sell his soul in order to preserve his youthful looks forever. In this haunting and seductive adaptation of Oscar Wilde's classic novella, Gray descends into a debaucherous world of self-indulgent pleasure -- one which eventually draws everyone around him to ruin as well. This mature and adult-themed production of A Picture of Dorian Gray comes to A Noise Within in Pasadena. "...Like most cautionary tales, A PICTURE OF DORIAN GRAY's warning comes too late for its young protagonist but makes a bull's eye hit to the audience's psyche with chilling intensity. Wilde's psychological masterpiece, and its moral dilemma, are well-served in this striking production." "...A Picture Of Dorian Gray, Michael Michetti�s spectacular take on the Oscar Wilde classic, is back, twelve years after its Theatre @ Boston Court debut, stunningly restaged by its director-adapter and easily the most provocative, boundary-pushing production ever to ignite the A Noise Within stage." "...Michetti helms his cast skillfully, as the veneer of puritanical "respectability" among the English aristos is torn to shred by Irish Oscar, who wields his pen like a rapier. Deborah Strang is strong as haughty high society ladies (I grew up with a girl named Debbie Strang - what are the odds?). Chelsea Kurtz is affecting as the actress Sibyl Vane, who is inexplicably jilted by Dorian with dire consequences, all because Sibyl isn't a particularly good actress (although Ms. Kurtz per se certainly is)." "...Bates, who is new to the company, is a compelling Dorian, who will accentuate the sinister beyond where it is now while retaining the magnetism and egocentricity that accompany most creatures of mystery. What I saw was only the second performance; so there is room to grow. Bates will secure his way into the role, grasping the added assurance he needs as he performs it." 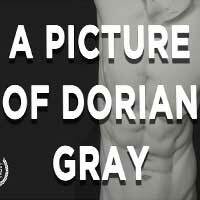 "...No production at A Noise Within has ever felt as vital or as alive as Michael Michetti�s A Picture of Dorian Gray. Michetti, who adapted and directed, seems to have invested as much of his own life essence into this work as Oscar Wilde did his. The result is a complex, beautiful and impressively theatrical representation of a formidably subtle and verbose text." "...Bates makes a stunningly attractive and guileless Dorian. He always appears in a blindingly white "ice cream" suit that truly sets him apart from all the other characters in somber shades of black, grey or brown (courtesy of costume designer Garry Lennon). Stuart gives great support as the amoral Lord Henry, serving as the witty mouthpiece of Wilde who has given the character a treasure trove of bon mots. The entire cast adds to the mystery and occult feel of the tale. The scenic design by Michetti and James Maloof is mostly a series of picture frames all lighted beautifully by Rose Malone. Robert Oriol's sound design also contributes to the overall mood of the production."